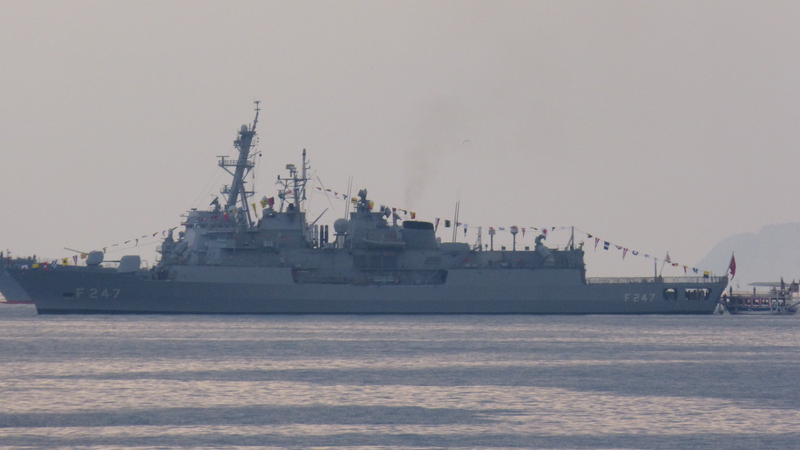 TCG Batıray as seen in August 2014 in Istanbul. She is one of 4 Turkish submarines taking part in Mavi Balina ASW exercise. According to Turkish Navy besides the above listed units one rapid analysis team from NATO MARCOM and observers from Azerbaijan, Bahrain, Bangladesh, Chile, Georgia, Kuwait, Lebanon will participate in the exercise. Turkish Navy announced that the Mavi Balina Naval Exercise will start on 6 November 2014. The naval exercise will be conducted in Eastern Mediterranean till 14 November 2014. The aim of the exercise is to provide the participants with submarine warfare and anti submarine warfare training. Besides warships and submarines at least 7 ASW planes 9 ASW helicopters are going to take part in Mavi Balina too. The Mavi Balina 12 anti submarine warfare and Nusret 12 mine warfare exercises are continuing. 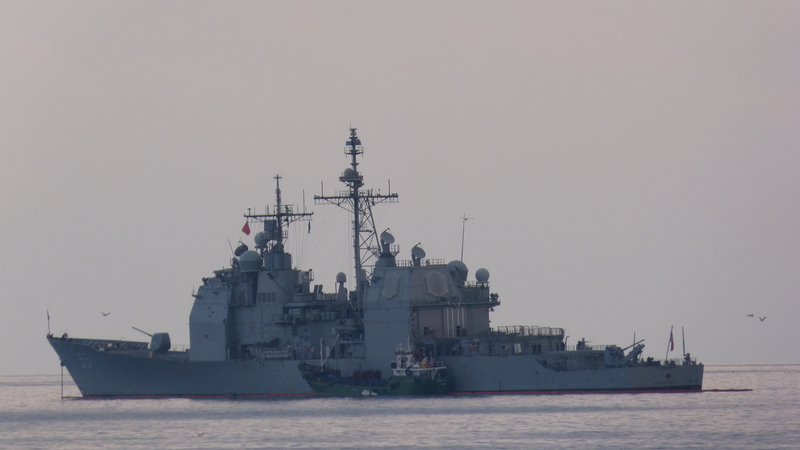 The former is conducted in Eastern Mediterranean while the later is in Aegean Sea. My list of the order of battle for both exercises is still incomplete but I was able to get some help. First I have received this photo. I thank my reader Mr Yıldırım for this photo. A the superstructure of a sixth warship is visible at the right part of the photo. 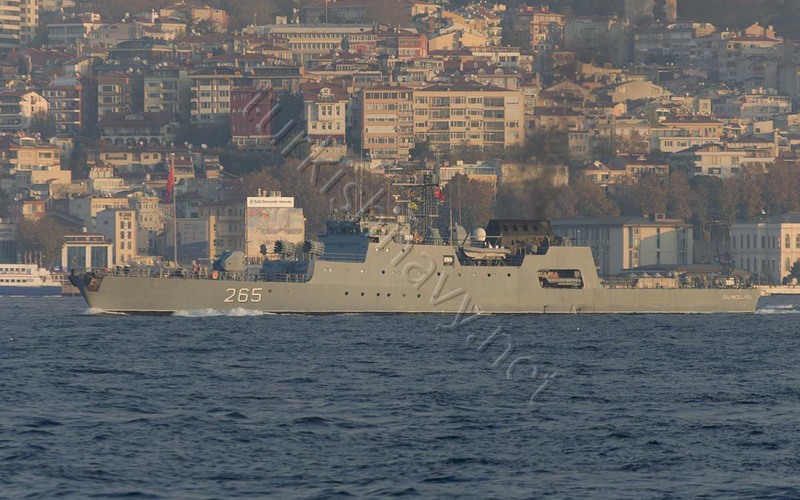 I am not able to tell exactly ship that is but I am confident that she is one of the two Rhein class tenders / training ships of the Turkish Navy A-577 TCG Sokullu Mehmet Paşa or A-579 TCG Cezayirli Hasan Paşa. TCG Sokullu Mehmet Paşa acted as the flagship of SNMCMG-2 earlier this year when the Turkish Navy was commanding the task force. Second I have received this comment. I thank my reader Herr Leif for this information. 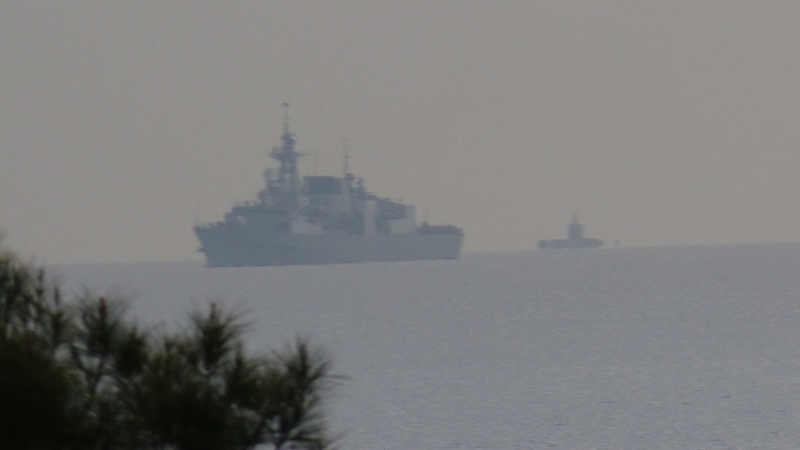 Turkish Navy is conducting two naval exercises simultaneously. 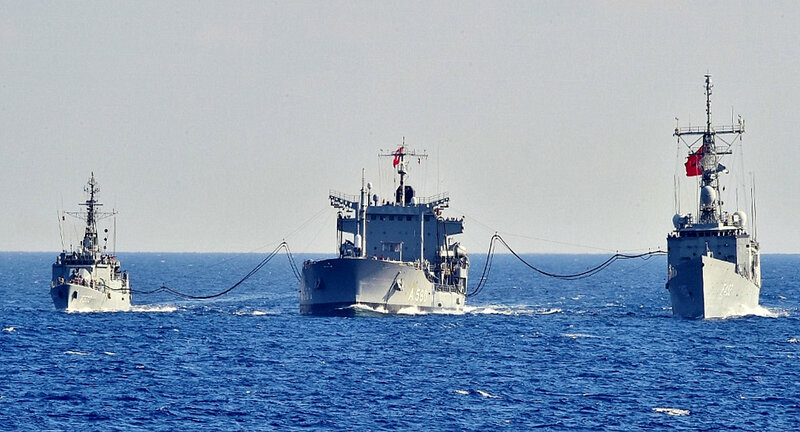 One is Nusret 2012 mine warfare exercise is held in the Aegean with the participation of NATO’s SNMCMG-2 and Turkish, Greek and US naval units. Below is the order of battle for this exercise as far as I could find. The second naval exercise Mavi Balina 2012 is held in Eastern Mediterranean with the participation of NATO’s SNMG-2, Pakistani, US and Turkish naval units and airplanes. According to Turkish Navy the total number of participants is 8 surface units and 3 submarines. Below is the order of battle for this exercise as far as I could find. Tomorrow Turkish and Pakistani navies will start a joint naval exercise off the coast of Turkey. The exercise called Mavi Balina 12 will start on 5th November and will end on 14th. Pakistan Navy ship “PNS Shamsheer” will be visiting Aksaz Naval Base Marmaris and Antalya harbour from 5 to 14 November and will participate in joint exercise “Mavi Baline-12” with the Turkish Navy. Pakistan Navy P3C-Orion aircraft will also participate in the exercise from Dalaman,said a statement received here Saturday from Ankara. The ship will stay at Aksaz Naval Base from 5-8 November and at Antalya from 12-14 November. The vessel is a multi-mission frigate and embarks a Z9EC helicopter. PNS Shamsheer is the second ship of SWORD Class Frigates and forms mainstay of Pakistan Navy surface combatants. Installation of state of the art weapons and sensors onboard makes her an extremely versatile warship with tremendous firepower to effectively thwart possible threats at sea. Mavi Balina exercise is fast transforming into an important regional forum to promote Collaborative Maritime Security and interoperability. The presence of a number of major navies and various senior delegations from important countries is indicative of the fact that Mavi Balina is evolving into a common forum for both Western and Eastern nations, to share, discuss and propose solutions for Collaborative Maritime Security which is one of the critical contemporary maritime challenges. PNS Shamsheer participation in this exercise will further strengthen existing bilateral relations. PNS Shamsher is the second ship of the Chines build Zulfiquar F-22P class frigates in Pakistani Navy. I don’t know whether the participating Pakistani P-3C Orion ASW plane is one of the survivors of the attack on PNS Mehran base in 2011 or one of the new ones USA has given to Pakistan in 2012. H/T: Dave Shirlaw from Sea Waves. 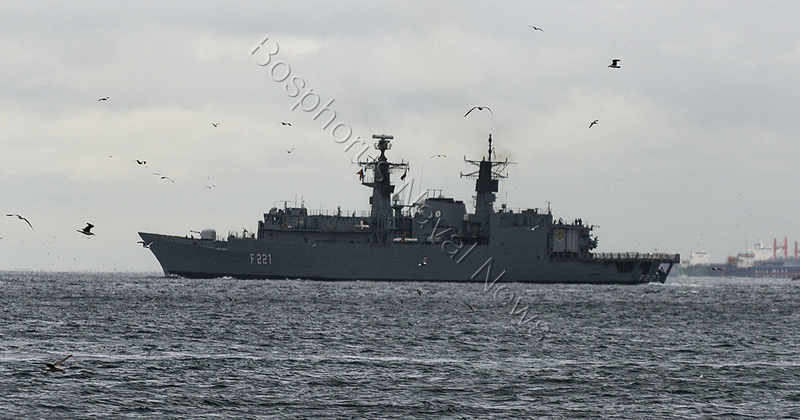 SNMG-2 in formation. Official NATO photo. NATO released her version of exercise Mavi Balina 2010. Antalya, Turkey. From 1 to 11 November the Standing NATO Maritime Group 2(SNMG2) took part in the Turkish exercise MAVI BALINA. This annual exercise aims to train units and staff in planning and conducting anti submarine warfare and submarine warfare and support their preparations for real world operations. During the 11 day period many assets were available for the exercise. Several submarines, airplanes and over 12 surface vessels from 6 different nations contributed to the success of the exercise. SNMG2, commanded by Commodore Michiel B. Hijmans (Royal Netherlands Navy), formed one of the four task groups, providing the Turkish staff in charge of the exercise with a challenging and complex environment for their planning and command training. 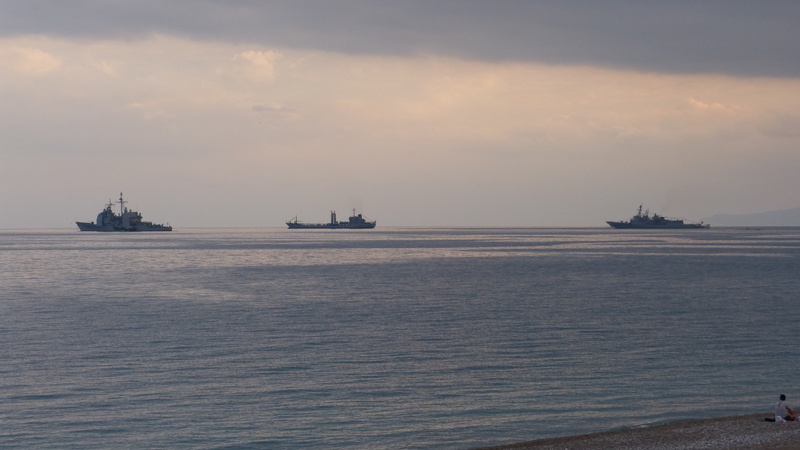 After many hours of escorting ships through hostile waters and keeping the adversaries at bay, most of the units entered Antalya harbour for the final phase of the exercise. After the port visit SNMG2 will continue her efforts for Operation Active Endeavour during an East Mediterranean surge.